“You’re on fire! Get it on the ground now!” Within minutes of those words being spoken, news that Liberty Belle was down arrived in every aviation inbox in the world. Facebook was alive with chatter, Linked In passed condolences, and Twitter was a race to see who was most informed. Yet among all the communication, the same weathered phrases were all I saw. How very sad; the Feds are going to be all over the other rider-hoppers; it was the crew’s fault; the plane should have been in a museum. These four statements comprised 99.99999% of all comments, and you know what? I’m tired of this crap. I’m tired of knee-jerks. I’m fed up with all the pansies that have crept into aviation. I can’t stand those who immediately cower to the Feds like abused spouses. And I believe there is no place in this world for inexperienced experts and those who believe airplanes should all sit in museums. As for those who thought this was sad, I understand the emotion but I would like to suggest a replacement, pleasant memories. Few things conjure up emotions of how great our country once was like a B-17 growling head-strong through cumulous. 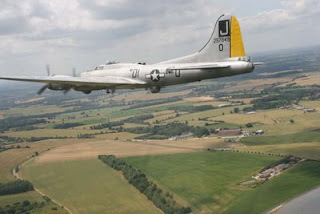 A Flying Fortress represents a country that once existed; a country that could build things, where decisions were based on principle, and a freedom loving people were brave. Today, those things are absent, their loss best represented by machinery parked inanimate in museums; monuments to a country that once operated equipment it built, flew airplanes because that was their purpose, and of people who were not afraid of their shadows. When word of the fire first arrived, my reaction was not of sadness for the loss of Liberty Belle but of the great memories she left behind. Yes I hated to see her go and the feeling of increasing loneliness in a sport more sterile by the day did pass through my mind. Yet within seconds, all my memories of Liberty Belle took over. Do you think B-17’s are rare? They are not. Some museums have two. A handful are flying, several more airworthy, and countless others sit in all sorts of places around the world. What is unheard of though is a B-17 flown like a B-17. Today, the handful of Flying Fortresses that routinely go airborne do so only to take people for rides. These rides are often called memorial flights, historical flights, honor flights, you name it. The purpose is two-fold; one, to engage people and stir an interest in WWII, and two, to generate revenue to support the organization that operates the plane so that it may continue to educate people about WWII, The Korean War, The Vietnam war, The Gulf War, and basically any war that people might forget. Go to any museums that fly B-17s and you’ll see what I mean. It is an ongoing fight to keep people interested. Therefore as older generations die off, newer wars become the focus because they are, ironically, remembered. This is the life of most B-17s; but not Liberty Belle. Liberty Belle, although like most Flying Fortresses a ride hopper, was more. Often it seemed that wherever you went, there was Liberty Belle. The owners and pilots were just a little more like pilots than all the others. Known to fly out of their way to say hello from above over events nobody else cared about, the crews were also more approachable than other such crews; at least that was my experience. Yet the biggest thing about Liberty Belle was that she was more a representative of WWII than the others. As evidence, in 2008, Liberty Belle did what no others today dare do. She, like most WWII era B-17s, flew to Europe and did a tour in England. There, greeted by adoring crowds, Liberty Belle demonstrated to the world that she and her owner operators really did exist to keep the memories of WWII alive. Visiting historic bomber fields by land or air, she brought tears to many eyes and memories of a country willing to fight for freedom. I remember the day I landed in Bangor Maine and was treated to the sight of Liberty Belle sitting on the ramp. When all our passengers deplaned I commandeered a tug and drove over to see her. There, doing a thorough inspection of the bomber was the crew. Stopping silently nearby to take it all in, it was clear the guys were checking everything for the flight to Goose Bay. Yet, without a word from me, one of them stopped their task to offer me a tour. Although I steadfastly declined because I did not want to get in the way of their journey, that fellow did everything he could to show me the airplane and introduce me to fellow crew members. Walking around the old girl, knowing where these guys were taking her, and how normal they all were, I couldn’t help but think of the brave young men who did the very same thing seven decades past with no way of knowing if they would ever see home again. 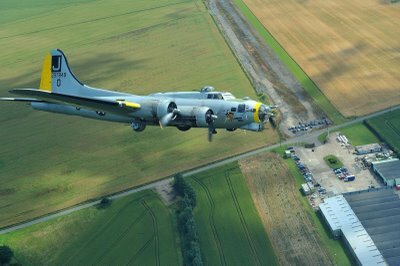 It is for this reason I am thankful, that for many years, Liberty Belle was able to live her life as a proud, true to form, Flying Fortress. She died not afraid of life but living it. And to the crew and members of the Liberty Belle Foundation, I thank you for giving us more than we lost. 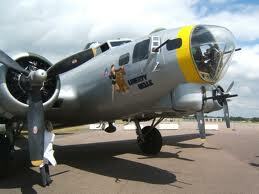 I will always remember Liberty Belle; the last true B-17. Rich, You are spot on. Well done. "Well, here’s the deal; my opinions and experiences are just that, mine. If you are incapable of understanding that, or, if anything written above a third grade level, of which I rarely am capable of creating, throws you so off course that you cannot understand the difference between an editorial and a news piece, then I do not give a rats rear end what you think. Sorry, that’s my opinion." While I recognize that your piece goes on a bit more rationally after that little gem, I feel compelled to comment on your first reaction. Folks like you (and Jim Campbell) like to hide behind the "it's only my opinion" (or "analysis") when they're challenged. Sure, you're entitled to your opinion -- and no one else probably gives a "rat's rear" what you think either -- until you begin to broadcast that opinion. You have the right to broadcast it, but you're shockingly naive to think it won't draw a reaction from those with a different opinion who have a perfect right to broadcast theirs. You don't want feedback? Then shut up. You obviously have problems with someone else and are transferring your misplaced anger toward me. Your comments are your comments and you are showing you have the ability to leave comments. Nobody is stopping you.